Sanjeev Bhagat has just been selected for a job as a showroom host. He will be joining the organisation soon and he is happy about that. What makes him happier is that he will be the first person in his family to land up in a job. He will be the sole bread earner of the family as soon as he starts working for the organisation that has selected him for recruitment. “No one in our family earns. I will be the first one. I will be able to support my family. My brothers and sisters face a lot of difficulty meeting the expenses of their education. My job will help solve that problem.” Says Sanjeev. Sanjeev belongs to a simple family in a village in Chhattisgarh. 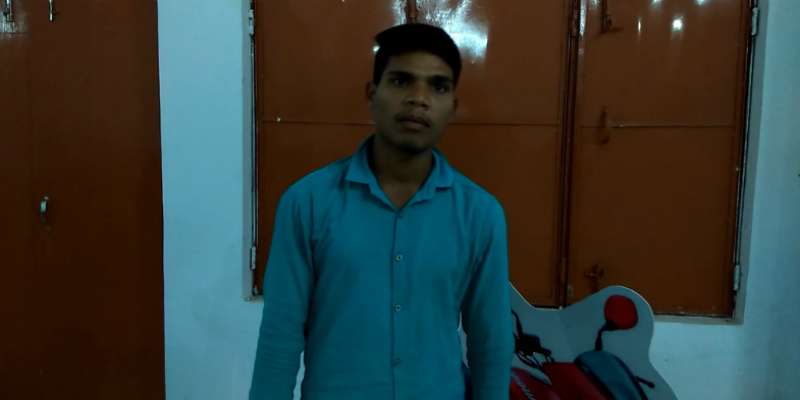 After finishing 12th standard, he was staying idle at home when he learnt about the Livelihood College at Jashpur. “I learnt about Livelihood College and then I also got to know that there are various professional courses. I was told that these courses are very much industry oriented and after doing such a course my chances of getting a job would increase to a considerable degree. I came here and I liked the environment and I decided to take up the Showroom Host course. I learnt how to talk to people confidently, how to handle situations and how to explain to people about various products. This has improved my skills to a very significant extent.” He says. The course has not only changed Sanjeev’s economic condition but has also increased his confidence level. “Now I can confidently talk to anybody. This is a great development for me.” He says. The Livelihood Colleges have been very popular in Chhattisgarh and Jashpur is no exception. The Showroom Host/Hostess course is one of the special courses introduced by the Jashpur Livelihood College. This course was introduced keeping in mind the industry requirements in various parts of Chhattisgarh and other parts of the country. The need for skilled and efficient manpower to work as showroom host/hostess in the rapidly urbanising society is one major potential that the college seeks to tap. The college has been successful in achieving this objective so far but it has bigger aims too. The aim of the Livelihood College is to turn Jashpur and Chhattisgarh into a hub of skilled manpower for the entire country. Sanjeev is one of the many youths who have been successfully employed after finishing a course at the Livelihood College. The employment rate of the Showroom Hostess course itself has been 100% so far. The young men and women at the college are also provided with free accommodation and study materials. This is one of the most important aspects of the Livelihood College. This has helped many students get relief from the stress of meeting the expenses of education. Since most of the students are from underprivileged sections of the society, they find it a major relief. The Livelihood College is a means of providing a significant thrust to the economy.